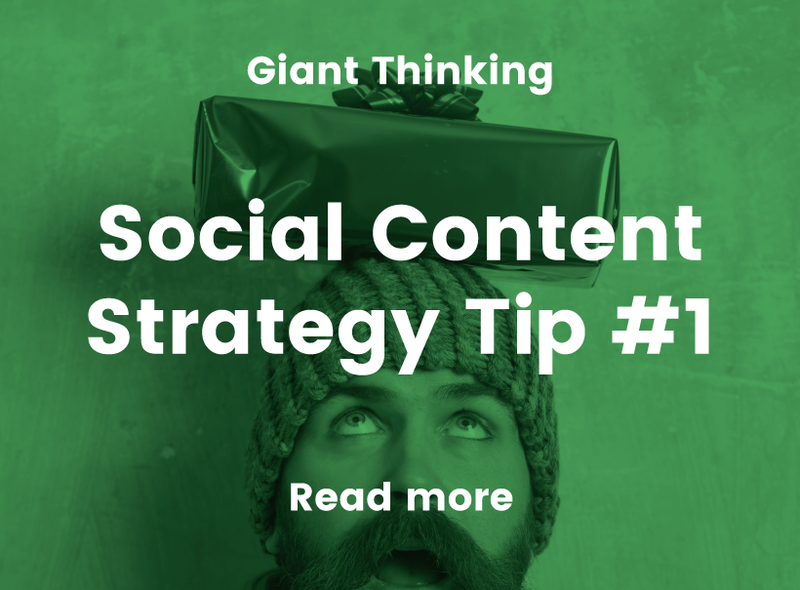 Content Strategy Tip - Know your customers well enough to buy them a perfect present? Do you feel like you’re shooting in the dark when you post on your social media, or when you’re designing a website, brand identity or printed collateral? Does it feel like things are not working out, and you can’t figure out why? Do you say to yourself, I don’t like this or that? Does your boss tell you they don’t like it and you need to start again or change things up, but they can’t explain why or how. Are you stuck with endless revisions that are not hitting the spot? Do you feel like you’re wasting or losing time and money? Want to know how we solve these problems? Through our discovery sessions and research we profile ideal customers, the ones you want more of, and we understand their needs, what they like, who they are, where they are online, what content they consume, what platforms they use, which influencers they follow, other brands they respect. We dig into who they really are, we get to know the customer so we can understand their needs, behaviour and habits. This way we can start to create content ideas, ad campaigns, brand attributes and so on that really connect with audiences for the right reasons, pushing the right buttons and adding value to their business or their day to day life. When you adopt a user first mindset and create content that is targeted and for your niche you start building a connection with your audience that creates trust and establishes authority, customers respect you, they recommend you, you’re in their minds for the right reasons. The next time you post on social media, or start a design related project take a step back and put yourself in the customers shoes. Dig into them via social media, research each type of customer and create profiles that allow you to understand how they behave more than you ever have before. 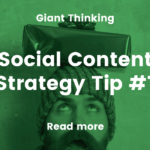 Use these insights to feed into your content ideas or decisions you make with regards to design and problem solving, align this with the objectives you want to achieve and start brainstorming ideas that can add more value to ‘your’ audience. Keep up to date with our strategic tips for branding and social media content by joining our Facebook group. You can get involved in the discussions and ask us questions within the group, we also run live Q&A sessions so if you have a topic you’d like to cover let us know in the group chat. Written by Rob Wilkes, Creative Director at Creative Giant. Rob has been in the design industry since 1996, both in the UK and Sydney, he has created brands for new startups, rebranded existing businesses and implemented identities for large corporates and organisations. Rob also set up the successful social media campaign Anglia Square Not Leicester Square, which saw the movie premiere for the Alan Partridge ‘Alpha Papa’ screening moved by public demand from London to Norwich.